If there is one writer in the world that probably doesn’t need my backing or encouragement, it is Neil Gaiman. I’ve been a huge fan since diving into a bootleg CD of Sandman sent to me from a LiveJournal friend in Belgium (hi Kareem, if you’re still out there! ), and of course reading Good Omens, his collaboration with Sir Terry Pratchett, plus as a local chap (I’m a mere half hours drive from the actual Ocean at the End of the Lane for those paying attention at home), I’m always on board for whatever he produces. Famed for his work not only for creating children’s classics Coraline and Fortunately, The Milk, but also for giving us such modern comic book classics as Sandman. However, there is one series of books that Gaiman gave us that I feel deserve a lot more love than they currently get. What could it be, I hear you ask? Sandman: Overture? Eternals? 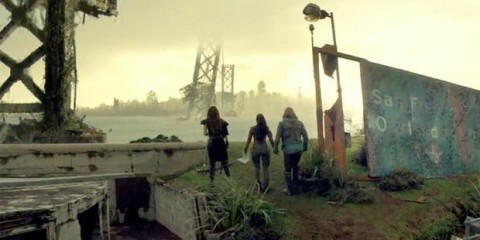 Forbidden Brides of the Faceless Slaves in the Secret House of the Night of Dread Desire? Despite that last one having the greatest name, it isn’t actually any of those – although they are all great and you should read them all – it’s something a bit more mainstream… 1602 was first released as an eight part mini series in 2004 by Marvel, with art by Andy Kubert, Richard Isanove and Scott McKowen, with letters from Todd Klein. 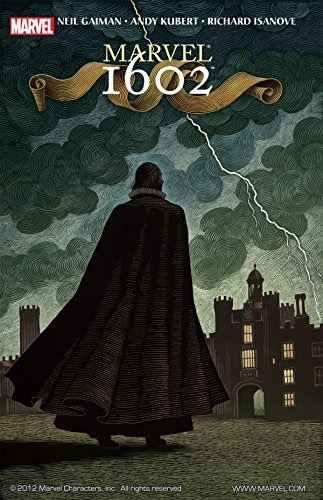 Featuring a swathe of Marvel heroes and villains, the story takes us back to England in 1602, the last days of the reign of Queen Elizabeth and a time of portents and mystery. From the first pages, where we enounter Dr Stephen Strange and Sir Nicholas Fury as advisors to the Queen, you can tell that this story is going to be something special. Gaiman weaves together a coherent narrative of political intrigue, religious extremism, fear of The Other, and even Marvel continuity to formulate a visually stunning, thematically exciting and generally rip-roaring romp through Elizabethan Europe, by way of Latveria. The art is often in which I tend to call house style, so there are few risks taken, but that doesn’t stop the artists casting an Elizabethan sheen on it, with colours suited to the time period and backgrounds often given an almost woodcut effect through clever use of lines and shading. Part of the fun of the book for me is watching for characters in the backgrounds giving away clues as to who they represent, or will come to be revealed as, as well as revelling in the glorious representations of the unspoiled British countryside. Gaiman casts his characters with care, giving us the most dangerous lady in Europe, a Jewish boy, forcibly converted to Christianity and now a devout Inquisitor, and a blind balladeer with a penchant for Satan, all of whom are recognisable to fans of the comics, but are also cast as fully-formed characters in their own rights. 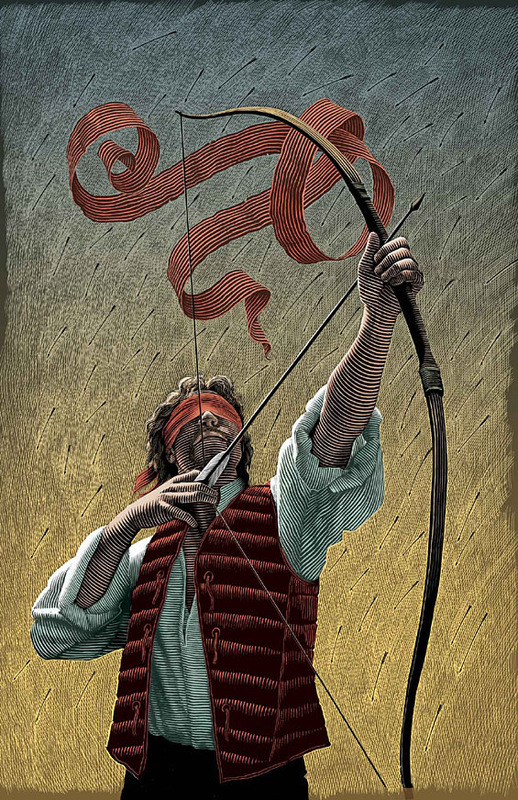 We have adventurers who sail on the fabled ship the Fantastick, told of in song, legend and hushed bar-room whispers, a young lad named Peter who seems to have a sense for trouble, and my personal favourite narrative thread, the almost Shakespearean love triangle between a blindfolded student, a young man aboard a ship, and a newcomer to their group, who may be cursed by the devil or by God. Sounds intriguing? Good, because I wish that there were more fans of this inventive and thought-provoking series out there. 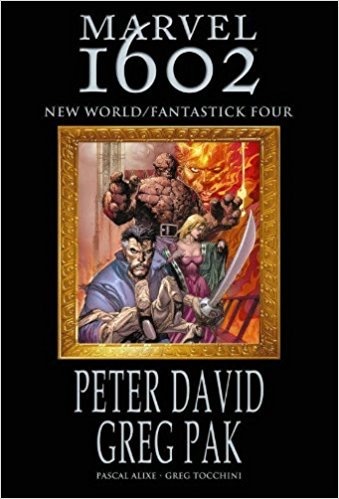 The series is available as a collected volume, but even better than that, you can also pick up two additional volumes, 1602: Spider-Man, and 1602: New World / Fantastick Four. 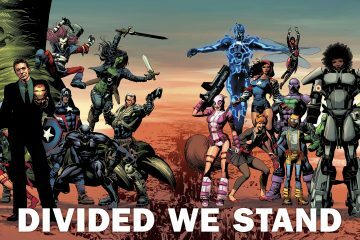 With talent such as Peter David, Greg Pak, Jeff Parker and Ramon Rosanas on board, Gaiman could not have left this particular sandbox in better hands. Try them out, take a trip into the past, and let me know what you think – I’d love to know if I’ve converted any more fans to this particular ship!